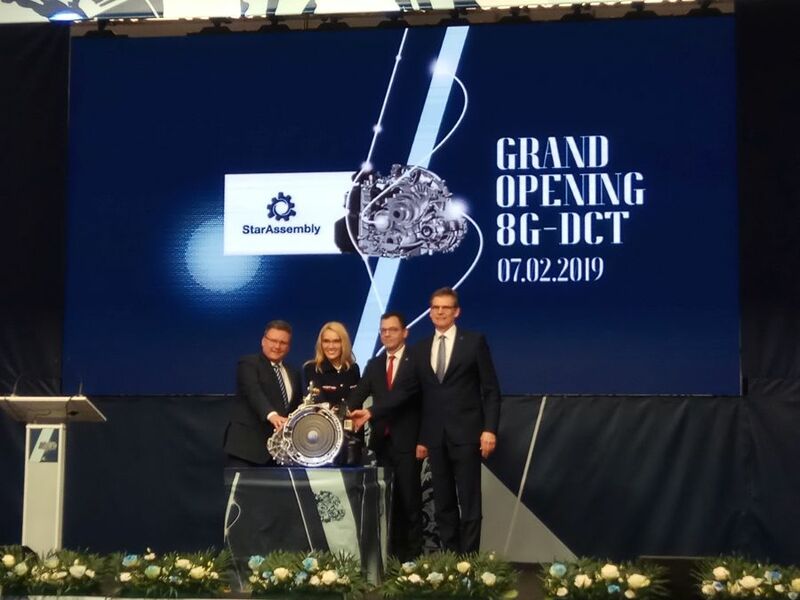 Mercedes-Benz has inaugurated production of the new 8G-DCT double clutch gearbox in its Star Transmission subisdiary, from Sebes, in Transilvania. The new gearbox will be used in all Mercedes-Benz compact models in combination with the new 2 liter turbodiesel OM654 Mercedes-Benz engines. Mercedes-Benz has extended the range of gearboxes produced in its Star Transmission subsidiary from Sebeș, located in Transylvania. The new 8G-DCT double clutch transmission is added to the existing production of 5 speed automatic gearbox 5G-Tronic, (for commercial vehicles), 9 speed automatic gearbox 9G-Tronic for all Mercedes with rear wheel drive and 4Matic derivated from the rear wheel drive and 7G-DCT double clutch transmission for the compact range. The new 8G-DCT double clutch transmission is available from this month for the new B-Class with the new 2 liter diesel engine OM654 with 150 and 190 HP. The new gearbox will be also available in the A-Class with the same engine and in all future compact models from the new A-Class sedan and CLA to the new CLA Shooting Brake, GLA and GLB. The new 8G-DCT is more compact and with 3.6 kg lighter than the 7G-DCT. This was made possible by various lightweight design techniques, an internal circuit with synthetic cylinders and a lightweight housing. Despite the additional gear range, the transmission build is not any longer than the 7-speed variant. It can deal with a maximum torque of 520 Nm, which means that can be combined even with the most powerful version of the new 2 liter diesel with 245 HP and 500 Nm. The new 8G-DCT double clutch gearbox is characterized by a very compact layout: dual use of the fixed wheels 6/8 and 7/5 and gear ratio of the 1st gear is achieved by using the wheels 3,4 and 2, low friction. The gear ratios are closer together on account of the additional gear range, which makes for enhanced ease of shifting and extends the possibility of operating the engine in the best possible operating point. At the same time, the 8th gear has a longer ratio, and at constant speeds on the motorway, for example, rpm is decreased which is good for efficiency and noise comfort. The 8G-DCT has a new, fully-integrated direct control with potted electronics. This uses small magnets to aid faster actuation for shorter response times at reduced weight. The 8G-DCT has dry sump lubrication. A light-weight transmission oil with lower viscosity is used. The targeted oiling of the gearing, a reduced amount of oil and a mechanical oil pump with significantly reduced delivery volume ensure efficient oil supply and lubrication. The electrically driven oil pump provides support as required and in active start-stop function it supplies the shift elements of the transmission with hydraulic oil so that the vehicle is ready to drive directly after starting the engine. The new gearbox is produced on a flexible line which use standardized 2 meter modules. Layout of the models follows the U-form with the people working on the inside zone of the line. All the components come from Germany and are assembled in Sebeș. The new 8G-DCT is produced exclusively at Sebeș for the whole Mercedes-Benz factories in the world which produce compact models: Rastatt (Germany), Valmet (Finland), Beijing (China), Kecsemet (Hungary) and Aquascalientes (Mexico). Star Transmission (STC) was founded in 2001 as a joint-venture between Daimler and the mechanical enterprise in Cugir. It was set up as a manufacturing line for gears and transmission axles for the Mercedes gearboxes range. The collaboration between the two companies was in fact much older, having started in 1996, when the Mechanical factory from Cugir won a contract from Mercedes to produce the gears for the first A-Class’ generation gearbox. Star Transmission is a fully owned Daimler subsidiary since 2013, when the Star Assembly division and factory in Sebes was established. Also in 2013, Star Transmission has started production of the 5 speed automatic gearbox for the Mercedes commercial vehicles in a 9,000 sqm with 1,000 workers. In 2014, the factory was extended with another 13,000 sqm hall while the workforce has increased to almost 200 people to 1,200 workers. In the new hall Star Transmission has produce the 7 gears double clutch gearbox for the Mercedes compact range (A, B, CLA, CLA Shooting Brake and GLA). 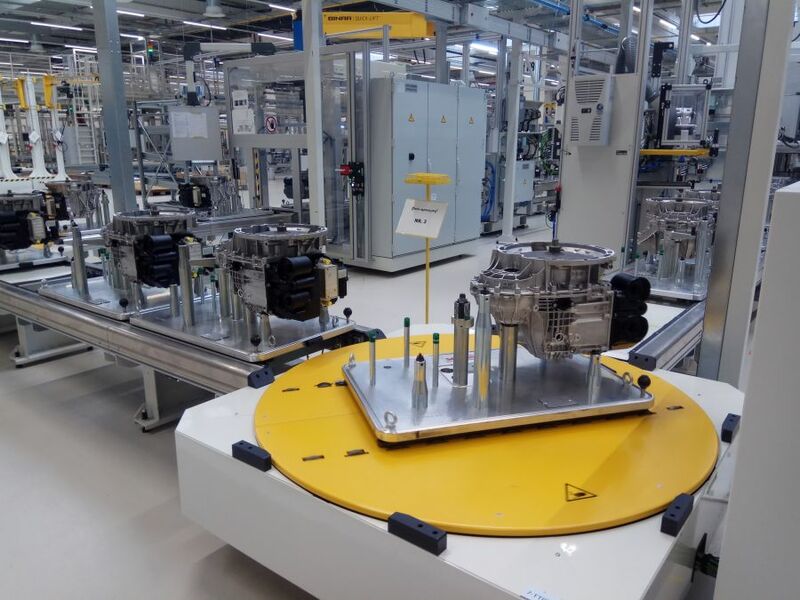 In April 2016, the factory started assembly of the new 9G-Tronic 9 speed automatic gearbox with torque converter which can be seen in all Mercedes models with rear wheel drive and 4Matic models derivated from the rerar wheel drive.